A night out with friends or loved ones is always a treasure. If you’re lucky enough to spend it with great food and good views, it’s priceless. Brio Tuscan Grille is just the kind of place to spend a leisurely and enjoyable summer’s evening. Brio offers familiar Italian favorites like risotto and lasagna, but also boasts an extensive and diverse menu of other choices like brick-grilled chicken, grilled salmon and gorgonzola-crusted steak. This season, in addition to being outdoor dining season, also marks a special event in Brio’s six-year history at Park Meadows. Brunch, which had previously been hosted at Brio on special occasions, is now a regular weekend feature. On Saturdays and Sundays from 11:00 a.m. until 3:30 p.m., diners can enjoy special items like the Sicilian omelet. Dubbed the “three little piggies” by Ellefson and his staff, it features cherrywood-smoked ham, applewood-smoked bacon, and Fontanini-smoked sausage, along with three kinds of cheese. Additional omelets, eggs Benedict, and French toast are also prominent features, but Ellefson said diners should feel free to make requests – at brunch or any other time if they don’t see what they want on the menu. In that spirit, Brio offers a light menu, including calorie counts for each dish as well as a gluten-free menu. Dessert can be ordered as regular full-size treats or “dolchinos” – smaller goodies that give diners just a taste at the end of the meal. Wine selection at Brio is effortless, as suggestions for food pairings are made right on the menu. If you’re looking to host a party, Brio offers semi-private parties in curtained-off spaces. The Castle Pines Connection staff gathered there during the holidays to enjoy Brio’s inviting, upscale atmosphere. The service was attentive and the food was delicious. Brio also partners with local schools, non-profits, and other clubs and organizations as a way to financially give back and support the community. Call 303-662-9727 to learn more about the opportunities available. 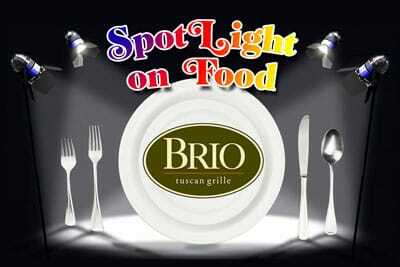 Brio Tuscan Grille is located in the Vistas at Park Meadows, 8441 Park Meadows Center Drive. 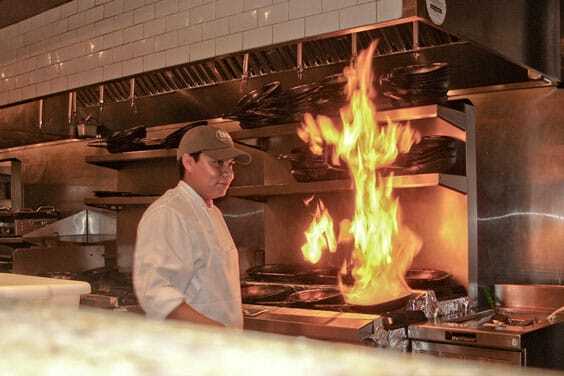 For more information, visit www.brioitalian.com. 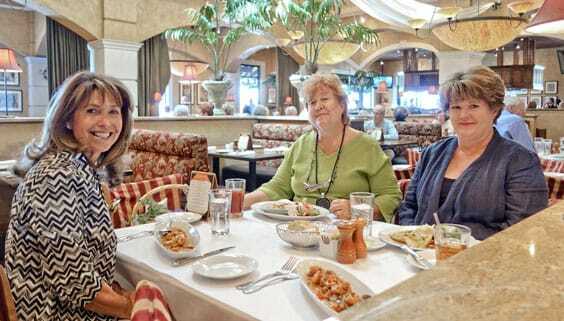 (Left to right) Castle Pines residents Pamela Elston, Joanie Micale, and Karen Harris enjoy a girls' lunch at Brio Tuscan Grille at Park Meadows. The menu features traditional Italian favorites like pasta and risotto, as well as house specialties like chicken limone and grilled salmon. Brunch is served every Saturday and Sunday, and diners can always choose calorie-conscious fare off of a “light" menu.